Join Bramasol at SAP-Centric Financials - Feb 21-22, 2017 in Dallas, TX. SAP Technologies are evolving at a rapid pace. These Technologies will allow your business to be customer centric and agile in your approach to process. The SAP-Centric Financials Conference has been designed by customers who want to hear case studies from Organizations who have implemented S/4HANA Finance, are driving Financial reporting and planning processes accurately and those who are using current systems to their full capability. Bramasol's Larry McKinney and SAP's Pete Graham will be presenting on Feb 21 at 12:05 PM. "In-Depth Guide to Getting #RevRecReady"
Bramasol's Lasry McKinney and SAP's Pete Graham will be presenting on Feb 21 at 12:05 PM. 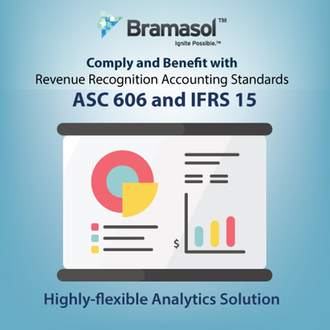 The video of Bramasol's newest RevRec webinar, "Variable Consideration Approaches using SAP RAR" is now available for viewing online. 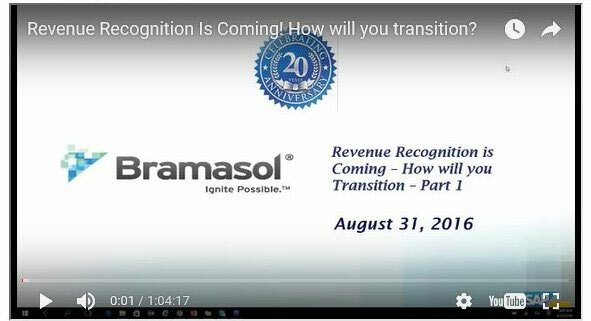 The video of Bramasol's newest RevRec webinar, "Revenue Recognition is Coming. How Will You Transition? Part 2" is now available for viewing online. Recorded on September 29, 2016, this Part 2 session on Transition provides a deep dive into the key issues associated with transitioning to the new ASC 606 and IFRS 15 standards. New Webinar Video: RevRec is Coming! How will you Transition? 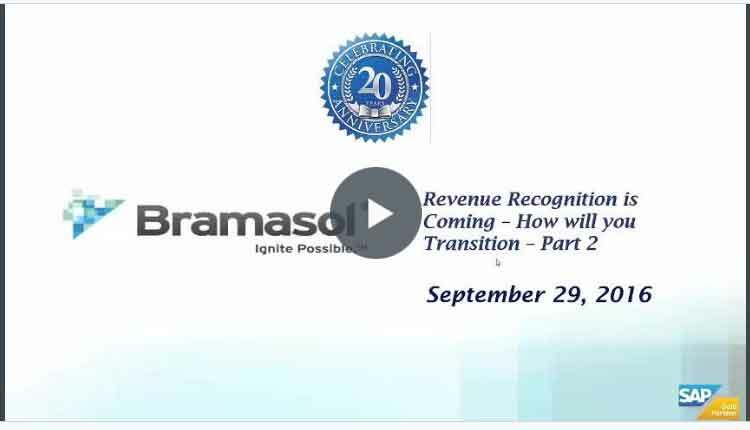 The video of Bramasol's newest RevRec webinar, "Revenue Recognition is Coming. How Will You Transition?" is now available for viewing online. Recorded on August 31, 2016, this webinar delves into the key issues associated with transitioning to the new ASC 606 and IFRS 15 standards.